There are three types of tears: reflex, basal and psychic. Reflex tears come out due to strong aromas, such as the scent of onion, or to protect the eyes from damage caused by sand or other tiny capsules. Basal tears are natural tears that lubricate the eyes and prevent them from drying out. Psychic tears are the most commonly known type, usually referred to as emotional tears. They are released due to an extreme amount of sadness or happiness. Psychic tears release protein-based hormones such as prolactin and adrenocorticotropic, as well as leucine enkephalin, a natural painkiller produced by the body in times of stress. By releasing these natural hormones and painkillers, the body is able to return to a neutral state and recover. College is full of changes, with twists and turns that can be very trying for some students, especially first-years learning to adjust to being on their own for the first time and seniors who are readying themselves for change once again. These new experiences can lead to happiness or sadness, and can cause tears in even the best of situations. That’s why Capital offers a set of unique services to help students through these hard times. Academic Success is on the second floor of the Blackmore Library to make sure that students are excelling in every class, as well as to keep students on task with rigorous studying and difficult projects. Also, counselors are available at the Health and Wellness Center to provide services to students and make sure they have someone to talk to. Crying does create a strange culture on campus, though. While Capital University is small and considered a tight nit family, there are still many people that don’t meet each other for their entire duration here. Approaching a stranger who is crying is still considered taboo in American culture, and that same culture is perpetrated on campus. Why would someone approach a stranger to see if they’re okay? Human society is built on the concept of helping one another. “If you help me, I’ll help you.” But through the years, more and more people have grown callous to others as society becomes more about the individual rather than the collective whole. However, not all students follow this mentality. While not all follow the normal behavior of leaving strangers who are sad alone, there are many who still do. This mentality has blanketed most of the campus, leading students to find hideaway places to cry in private. “My favorite place to cry on campus is the third floor of the library,” Meyers said. Having a support system can be vital to a college student’s health while away from family. While an extreme amount of stress is certainly not healthy over extended periods of time, crying to release those hormones and return to a neutral state of mind can help to clear the head and calm down. From an online poll, students contributed to finding favorite crying places. There’s a fine line when considering if there’s a healthy amount of stress or not. 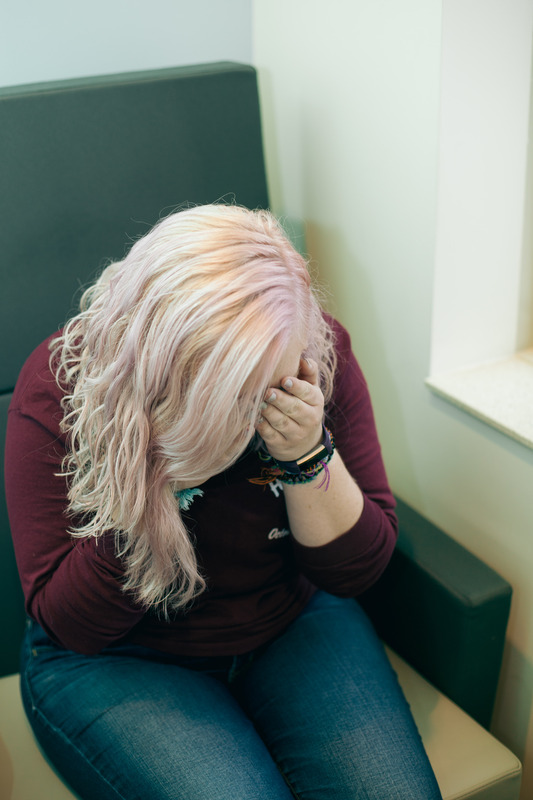 Crying can help to calm the body, and having a support system there for the worst and best times of college can help any student through the roller coaster ride of emotions.